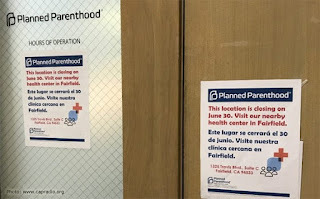 Washington, DC – Seven Planned Parenthood facilities, six of which conducted medication abortions, are set to permanently close today in three states. 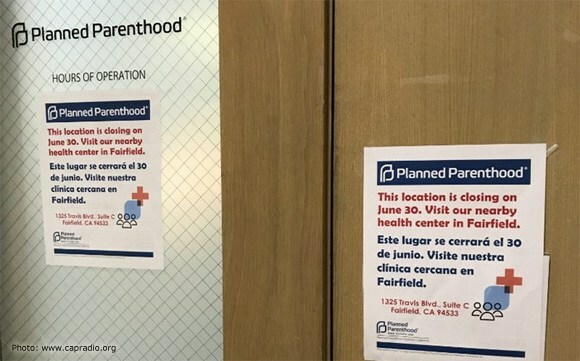 Planned Parenthood officials noted that the closures were primarily an attempt to remain solvent amid fears that Medicaid reimbursements would be halted by Congress. Keokuk Health Center Planned Parenthood, in Keokuk, Iowa, a center that referred for abortions, will also permanently close on June 30. Another Iowa medication abortion facility, Quad Cities Center Planned Parenthood in Bettendorf, is set to close once the building sells. The closures continue a national trend of abortion facility closures that appears to have intensified since the election of President Donald Trump. In order to prevent Planned Parenthood from expanding once again, please contact your Senators today and urge them to completely defund Planned Parenthood in the upcoming legislation to repeal and replace of Obamacare, which is expected to come up for a vote after the Independence Day break. Here is the entire EWTN "A Wolf in Sheep's Clothing". This is a very important film to watch over and over. The information in this film will answer many questions about what went wrong with parts of the Church. We are still giving money to Alinskite Organzitions. Catholic Campaign for Human Development funds many organizations that have not helped the poor at all. Notice how we always seem to need money for the less fortunate, but never get there. We are like the United Way. We are funding middlemen and not giving funds where it is really needed and so poverty is maintained. Please enjoy this film as it answers many questions. Eight priests will receive a change in title while remaining where they currently serve. Changing titles from administrator to pastor are Father Michael Jeeva Antony of St. Peter and St. Mark in Eugene; Father Jose Manuel Campos Garcia of St. Joseph in Roseburg; Father Rodel de Mesa of Holy Family in Portland; Father Mark Gikenyi of Nativity in Rainer; Father James Graham of Holy Redeemer in North Bend; Father Matt Libra of St. Rose of Lima Parish in Portland; Father Arturo Romero-Bautista of St. Patrick in Canby; and Father Benjamin Tapia-Ortiz of Good Shepherd in Central Point. Father Michael Vuky was temporary administrator of St. Edward in North Plains, but now takes on the post permanently in addition to duties in Verboort and Roy. Father Lucas Laborde is now assigned as permanent parochial administrator of St. Michael Parish in downtown Portland in addition to his role as pastor of St. Patrick Parish in Northwest Portland. He had been temporary parochial administrator since February. Jesuit Father Roy Antunez, a longtime pastor in the southern part of the state, will return to service in his religious community. He served at Our Lady of Perpetual Help in Cottage Grove, St. Alice in Springfield, Sacred Heart in Medford, St. Luke in Woodburn and St. Ignatius in Portland. Father Mike Morrissey is retiring. He was born in El Paso, Texas, and attended seminary high school in Wisconsin and New York. After completing work at St. Anselm College in Manchester, New Hampshire, he went to Maryknoll Seminary in New York. He was ordained for the Capuchin Franciscans of New York in 1978. He served in Queens and then went to Guam where he served until 1988. He came to Oregon in 1989 and was incardinated into the archdiocese in 1992. Here, he has served at St. Joseph in Salem, St. John the Baptist in Milwaukie, St. Anne in Gresham and St. Catherine in Veneta. Father Ken Olsen has retired. Born in Seattle, he attended Mount Angel College Seminary, the Catholic University of America and Collegium Canisianum und an der Universität in Innsbruck, Austria. Ordained in 1973 for the Archdiocese of Portland, he served in Oregon City and then Ashland as parish priest and director of the Newman Center. In 1977, he began ministry in British Columbia and was trained in the eastern Catholic rites. He served in Canada for 25 years. In 2010, he took over as administrator of St. Michael Parish in Oakridge, with the mission of St. Henry in Dexter. 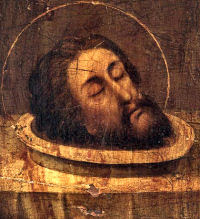 While there, he taught iconography to parishioners. He served as a chaplain for the PeaceHealth system, which operates Sacred Heart Medical Center in Springfield. Augustinian Father Bill Ryan will return to service in his religious community. Father Ryan grew up in Albany, New York, where his father worked in government. Five or six days a week throughout the winter, he could be found sleeping in his parish hall in Myrtle Creek. The hall houses the parish’s warming center, which provides food and shelter for the area’s homeless population on cold nights. He joined the Order of St. Augustine in 1957 and was ordained in 1966. As part of the order, he taught in schools from Philadelphia to Ojai, California. Not long after his ordination, he took to protesting the unjust wages of the housekeeping and cooking staff at a house in which he resided with his fellow priests. During his time in southern Oregon, Father Ryan helped to establish the St. Vincent de Paul Society in Medford, Myrtle Creek and Glendale. He was also key in the establishment of St. Rita Retreat Center in Gold Hill. He served as associate pastor for Sacred Heart Parish in Medford before becoming pastor at All Souls Parish in Myrtle Creek. Two priests are visiting western Oregon for short assignments. Father Miguel Cardozo Garcia, from the Archdiocese of San Luis Potosi in Mexico, will be assisting at St. Joseph in Salem over the summer. Father Athanasius Onyima, from the Diocese of Orlu in Nigeria, will be assisting at various parishes into the fall. Archbishop Alexander Sample has announced the following assignments for priests in the Archdiocese of Portland. Assignments are effective July 1 unless noted otherwise. Born in 1967, he attended the University of Oregon and graduated with a bachelor’s degree in theater in 1990. He completed a master’s degree and a sacred theology bachelor’s degree at Mount Angel Seminary and was ordained in 2009 by Archbishop John Vlazny. He has served at Our Lady of the Mountain in Ashland, Christ the King in Milwaukie, St. John the Baptist in Milwaukie, St. Cecilia in Beaverton, Visitation of the Blessed Virgin Mary in Verboort, Sacred Heart in Medford, St. Mary in Eugene, Sacred Heart-St. Louis in Gervais and Holy Trinity in Bandon. In 2015, he was named parochial vicar at St. Stephen, serving with Father John Boyle, who is also director of the Archdiocese of Portland Tribunal. Father Boyle will remain in residence at St. Stephen. Immaculate Conception in Stayton includes the mission parish of St. Catherine in Mill City. He also has pastored Our Lady of Lourdes in Jordan with the mission parish of St. Patrick in Lyons. He arrived in Stayton in 2011 from St. James Parish in Molalla and has served in a number of other parishes as well. Father Lange was born in Salem in 1978. He attended St. Joseph and Salem Heights elementary schools and graduated from Sprague High in 1996. He attended Lane Community College and earned an associate’s degree in 1999. He entered Mount Angel Seminary in 2002, and earned a bachelor’s degree of arts in philosophy and literature in 2004. He moved on to the Pontifical North American College in Vatican City and attained a sacred theology bachelor’s degree from the Gregorian University in Rome in 2007. His ministry has included work at St. John the Baptist, Milwaukie; Christ the King, Milwaukie; Jackson Memorial Hospital, Miami, Fla.; St. Jude, Eugene; Our Lady of Fatima, Shady Cove; Our Lady of the Mountain, Ashland; Sacred Heart, Medford; and Shepherd of the Valley, Central Point. In addition to help form seminarians at Mount Angel, he was designated in 2016 as a missionary of mercy for the Jubilee Year of Mercy. He gave talks around the region. Born in 1968 and ordained in 2008, he served as parochial vicar at Our Lady of the Lake in Lake Oswego and St. Joseph in Salem before being named administrator in Brookings. His title was changed to pastor in 2011. Father Nguyen, 48, was born in Saigon. He harbored a calling to be a priest, but Vietnamese officials deterred seminaries. After he came to the United States at age 24, he obtained an electrical engineering degree from Portland State University and began work as a technician. He still perceived a call to priesthood and entered Mount Angel Seminary in 2000. Born in 1963, he was a former mechanical engineer who was ordained in May 2004. Born in Portland in 1963, he is one of eight children. He attended Pope John XXIII Elementary School in North Portland and graduated from Portland's Benson Polytechnic High School in 1981. He graduated from the University of Portland in 1985, then worked as a mechanical engineer in the Los Angeles area. At the same time, he served as a teaching assistant at a Catholic alternative high school. He entered Mount Angel Seminary in 1998. His ministry training has included being an elder visitor at Mount St. Joseph in Portland, serving as pastoral minister to the Latino community at Holy Redeemer Parish in North Portland, and participating in clinical pastoral education at the Oregon State Hospital. Father Prentice spent a summer at the Mexican American Cultural Center in a Spanish immersion program. He served a year as pastoral intern at Christ the King Parish, Milwaukie, and was a deacon at St. Mary Parish, Mount Angel. He served as parochial vicar at St. Mary Parish in Eugene, and pastor at Star of the Sea Parish in Astoria. He took a post at St. Anthony in Tigard before being named to Molalla in 2011. Born in 1976 in Orlu, Nigeria, he graduated from high school in 1994 from St. Mary Seminary Umuowa in Orlu. He attended the National Missionary Seminary of St. Paul in Abuja, Nigeria, earning a bachelor’s degree in philosophy in 2003. He attended Sts. Peter and Paul Major Seminary in Ibadan, Nigeria, and the Dominican House of Studies in Washington, D.C. After studying at Mount Angel Seminary, he transferred to Sacred Heart School of Theology in Hales Corner, Wis., where he completed a master of divinity degree. In 2012, he was ordained by Archbishop John Vlazny. His ministry has included work at St. Anthony in Tigard; Veterans Administration Medical Center in Minneapolis; All Saints in Portland; and St. Vincent de Paul, Salem. In 2012, he was named parochial vicar for Shepherd of the Valley Parish in Central Point and then moved on to Sacred Heart. Born in 1977, he was raised in Camalig, Albay, Philippines. He earned a bachelor’s degree in political science from the Bicol University College of Arts and Sciences in Daraga, Albay, in 1998. He attended St. Gregory the Great Minor Seminary in Tabaco City and the Divine Word Mission Seminary in Quezon City, receiving a diploma in philosophy in 2005. He then studied at the Divine Word School of Theology in Tagaytay City. He entered Mount Angel Seminary in 2010 and was ordained in 2013. His ministry has included assignments at St. Dominic Guzman Parish in Polangui, Albay; Our Lady of the Promised Land in Quezon City; Good Shepherd Sisters Home for Abused Young Women in Tagaytay City; at Mangyan Reservation Heritage site; Lunggani Najuan, Oriental Mindoro, and at Sacred Heart Parish, Kamunig, Quezon City — all in the Philippines. He served at St. Anthony Parish in Tigard before being named to Albany. Born in 1951 in Oshogbo, Nigeria, he attended elementary school at St. Benedict Catholic School there and graduated from St. Joseph College High School, Ondo, Nigeria in 1969. He studied at the University of Washington in Seattle, graduating with a bachelor’s degree in civil engineering in 1983. He then worked with the Oregon Department of Transportation. He entered seminary in 2010, and was installed as a lector and an acolyte in 2013. He studied theology at the Sacred Heart School of Theology in Hales Corners, Wis. His ministry training included assignments at St. Vincent’s, Salem; St. Francis of Assisi, Milwaukee, Wisconsin; and St. Joseph Hospital, Tacoma, Washington. He was ordained by Archbishop Sample in 2015. This will be a one-year term for the monsignor, who was ordained in 1968 and once served as vicar for clergy. He retired in 2012. His early boyhood was at St. Clare Parish in Portland. Then the family moved to a farm near Oregon City. Young Chuck would mow the cemetery lawn and paint the school. He also spent a year in Germany as an exchange student. He attended Central Catholic and then went to Mount Angel Seminary for college. A seminarian during the Second Vatican Council and the U.S. civil rights struggle, he saw the church as a power for making the world more just and compassionate. He has led Immaculate Heart and St. Andrew parishes and has long experience in serving with African American Catholics. 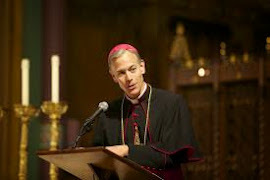 He has been active in the Metropolitan Alliance for Common Good, a coalition of faith groups and service organizations advocating for low-income people. He also served in Grants Pass and Cave Junction. He previously served as priest-moderator at St. Francis Parish for a half dozen years. He was born in 1973, in Saigon, Vietnam. He was ordained a priest for the Archdiocese of Portland in 2012 by Archbishop Vlazny. Prior to his seminary studies, Father Nguyen received a bachelor’s degree in computer engineering. Father Nguyen studied at Mount Angel Seminary. His first assignment was at St. Cecilia, Beaverton as parochial vicar. He moved to the same role at St. Anne in Grants Pass before being named parochial vicar at Ascension last year. Ordained in 2015 by Archbishop Sample, he was born in 1985 in Bogota, Colombia. He attended elementary and secondary schools in Pitalito, Huila, Colombia, graduating high school in 2002. He entered the Seminary Maria Immaculada where he studied philosophy. He attended St. Patrick Seminary in Menlo Park, California, where he earned a bachelor’s degree in philosophy in 2010. He continued his studies at St. Patrick Seminary. He retired in 2015, not long after marking 50 years as a priest. He most recently served at Holy Redeemer Parish in North Bend and traveled to Europe. Father Schray served at a handful of Portland-area parishes including St. Charles, St. John the Baptist in Milwaukie, Blessed Sacrament, Christ the King in Milwaukie and Assumption. He also served at St. Joseph in Salem, Holy Name in Coquille and St. Anne in Grants Pass. Father Schray taught at North Catholic High School and La Salle Catholic Preparatory. He was also a supporter of the Young Ladies Institute in the archdiocese. The library at St. Anne School is named after Father Schray, who helped open the school during his time in Grants Pass. Father Schray was known for his many hours ministering to the sick, and his celebration of the Mass every other week for prisoners at Shutter Creek Correctional Institution. Born in Melapudur, India, he was ordained in 1978 for the Diocese of Tiruchirapalli. He holds master’s degrees in theology, education and Sanskrit. He holds a doctorate in comparative religions. He says his main joy in recent years has been looking after the formation of seminarians and visiting parishes around the diocese. Born in 1985 in the Philippines, he is the oldest of four children. He graduated from a Catholic high school in 2002 and studied secondary education. Father Garcia believes his road to ordination began at a high school retreat. The sister facilitating the retreat suggested the students think about something they’d done as a child, and to take that moment, meditate on it, and imagine a possible future around it. “The times when I’d play-acted being a priest was what came to me,” says Father Garcia. He was accepted into the diocesan seminary in Cebu, where he was recommended to study philosophy. He began studying for the Archdiocese of Portland at Mount Angel Seminary in 2010. He completed a pastoral year at Our Lady of the Mountain Parish in Ashland. He was ordained by Archbishop Sample last year and was assigned to Tigard. The assignment is for the summer only, as Father Mueller, ordained on June 3, will return to Rome for studies. Born and raised in Salem, he went to public high school and then Carnegie-Mellon University in Pittsburgh, where he received a bachelor’s degree in mechanical engineering. After college, he joined Reach Youth Ministry, travelling to parishes and giving retreats for mid-high and high school teens. He was coordinator of youth ministry at St. Anne in Grants Pass when he discerned a call to priesthood. He began seminary at Mount Angel in 2010 and in 2012 was sent to Rome to study at the Gregorian University, where he earned a bachelor’s degree in sacred theology. He was ordained a deacon in 2015, served for a year at St. Mary Parish in Eugene, and returned to Rome for a final year of formation. He grew up as a sacristan and altar server in Manila, Philippines then obtained a bachelor’s degree in broadcast communication at the University of the Philippines-Diliman in 1999. From 1999 to 2002, he was a writer, reporter and segment producer for several news and public affairs programs of the ABS-CBN Broadcast Network. From 2003 to 2007, he worked as a communications trainer for customer service call center companies in Manila. Throughout school and his professional life, he has been an active member of different church groups, including Youth for Mary and Christ, U.P. Student Catholic Action and Singles for Christ. He entered Christ the King Mission Seminary in 2008. In 2011, he transferred to Mount Angel Seminary as a seminarian for the Archdiocese of Portland. Deacon Pacanza’s pastoral ministry training has included assignments at Central Catholic High School in Portland, Star of the Sea Parish in Brookings, St. Edward Parish in Keizer, St. Rita Parish in Northeast Portland, St. Juan Diego Parish in Northwest Portland, St. Monica Parish in Coos Bay and St. Mary Parish in Mount Angel. He attended clinical pastoral education at the UCSF Medical Center in San Francisco. In the summer of 2015, he also did Spanish immersion in Mexico City under the Global Education program of the Catholic University of America. He was born in Cebu City, The Philippines, in 1965, one of eight children. He graduated from Holy Rosary School of Pardo, Cebu City in 1982 and received a bachelor of science degree in commerce and accounting from the University of San Carlos, Cebu City, Philippines in 1987. He also studied at the Cebu Institute of Technology and at the University of Urbaniana in Rome, Italy. He entered Mount Angel Seminary in the fall of 1995 and was ordained a deacon in May 2000. His ministry training included assignments at St. Stephen in Portland, a pastoral year at St. John the Apostle in Oregon City and St. Anne in Grants Pass. He served as a deacon at St. Mary in Mount Angel. He was ordained for the Archdiocese of Portland in 2001 and served as a parochial vicar at St. Anne in Grants Pass and Sacred Heart in Medford. Has was pastor at St. Helen in Sweet Home and most recently was pastor of Nativity in Rainier and St. John the Baptist in Clatskanie. He is a native of Pittsburgh, Pennsylvania. After teaching at Queen of Peace School in Salem for two years, he entered Mount Angel Seminary in 2000, earning a master of divinity degree in 2005. His ministry formation assignments took place at St. Joseph in Salem, St. Henry in Gresham, St. Clare in Portland and St. Paul in Silverton. He completed clinical pastoral education at St. Luke Regional Medical Center in Boise, Idaho. “I feel God has put me into different situations, and each one had its positive, wonderful experiences,” he said before his ordination in 2005. He served as parochial vicar at Sacred Heart in Medford and Our Lady of the Lake Parish in Lake Oswego before being assigned as parish priest at Holy Trinity in Bandon in 2008. In 2010, he was named pastor of St. Mary Parish in Albany. A priest of the Diocese of Fall River, Massachusetts, he also has been a scientist and high-tech marketer. He earned a doctorate in sacred liturgy is from the Pontifical Athenaeum of St. Anselm, the Benedictine university in Rome. Rome to work for the Holy See as an official of the Congregation of the Clergy. of Victory Parish in Centerville. He has been pastor in Acushnet since 2008. He will be in residence at St. Rose of Lima in Portland. Born in 1972 in Kadakulam, India, he attended Catholic primary and secondary education before beginning minor seminary in 1989. He studied philosophy and theology at St. Peter Pontifical Seminary in Bangalore and was ordained in 1999. He holds a doctorate in canon law from Urbaniana University in Rome and a diploma in jurisprudence from the Gregorian University in Rome. He served in parishes from 1999 to 2008 and has held the chancellor’s position since 2012. He is fluent in English, good in Italian and Tamil is his mother language. He will be in residence at St. Anthony in Tigard. Pastor — He leads the parish as an extension of the ministry of the archbishop. Pastors are to teach, sanctify and govern for the good of souls in a certain geographical area. Pastors are to have ample experience as a priest, normally five years. Administrator — He leads the parish in the absence of a pastor. Because he does not have as much experience as a pastor, or for some other reason, he will receive help from archdiocesan authorities and his powers will be limited in areas deemed appropriate by the bishop. Parochial vicar — He shares in the pastoral care of the parish under direction of the pastor. For five years I had the pleasure of being the Church Commission Chairman of the Archdiocesan Council of Catholic Women (ACCW). This devotion to priests had not been published in the Catholic Sentinel and as of 2007 these birthdays are shared with all Oregon Catholics. I thank God that even in my short time with these wonderful women, this article has been included in the Catholic Sentinel. “A Year of Prayer for our Priests” is a ministry of the Archdiocesan Council of Catholic Women. We share the joy of this devotion with all Oregon Catholics. A day each month is set aside to pray for the names of priests serving in the Archdiocese of Portland. Please remember them and all priests, deacons and religious in your daily prayers.